an International food expo in Hong Kong! 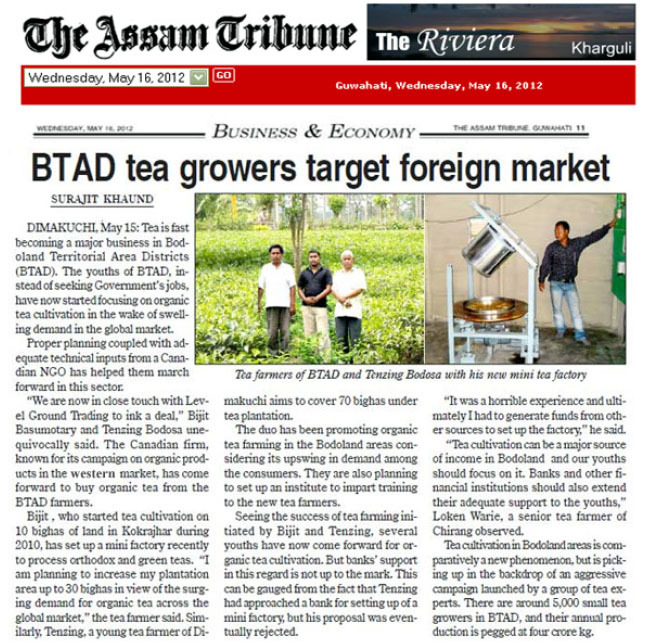 a new association for Organic Small Tea Growers in North East India! Congratulations to everyone who helped make this happen! 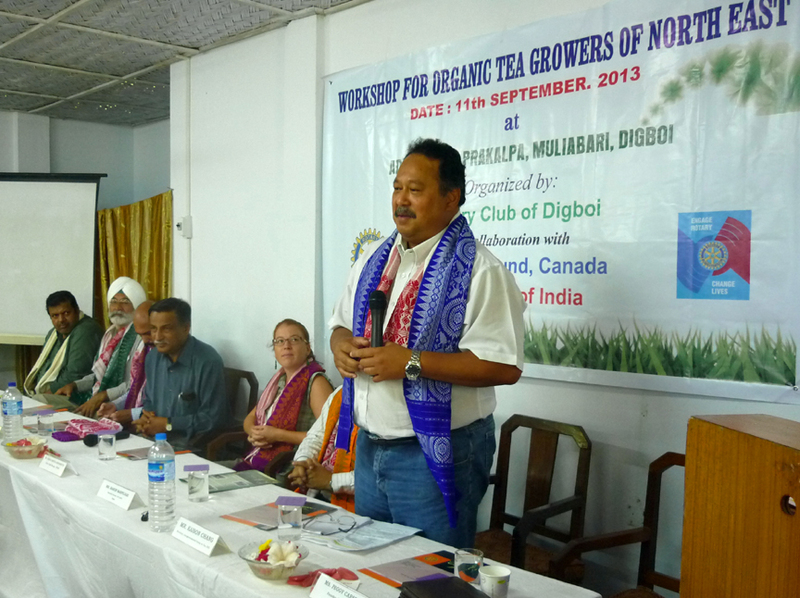 Kaison Chang, Secretary of FAO's Inter-Governmental Group on Tea at a meeting of small tea growers in Assam. Also at the head table were organic tea afficionado Binod Saharia, Harki Sidhu Singh (Rainforest Alliance), Barun Barpujari (IOCL-AOD), G. Boriah (Tea Board) and Joelle Katto-Andrighetto (IFOAM). Arzeena, Peggy and Kel provided samples of our fabulous iced chai to hundreds of people at Flavours - the North Island Gourmet Picnic! A great way to celebrate the best in local and global foods! Read about our new trading partnership with Level Ground Trading! 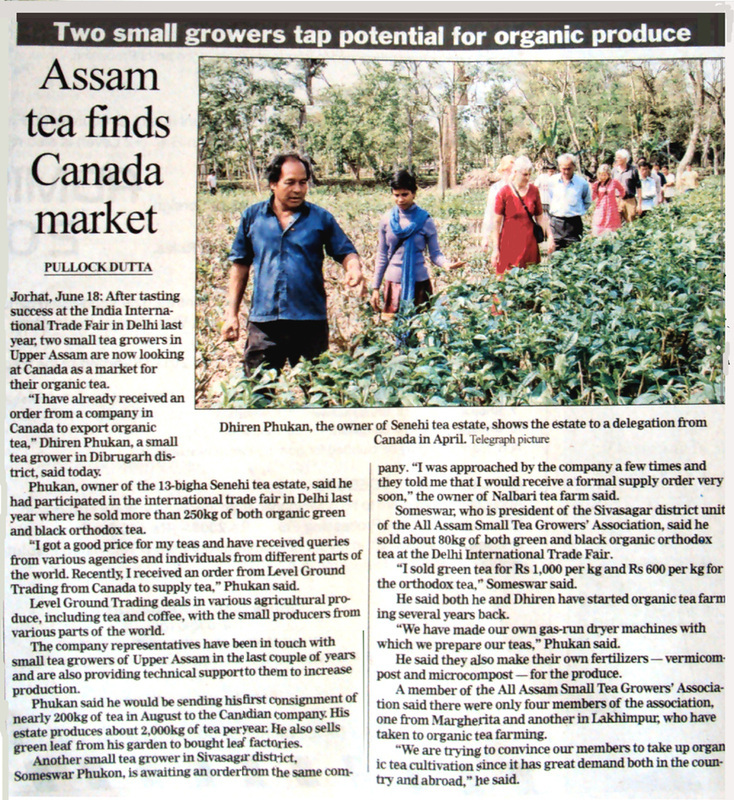 Click on the image above to view some great images taken during Level Ground's recent visit to Assam! 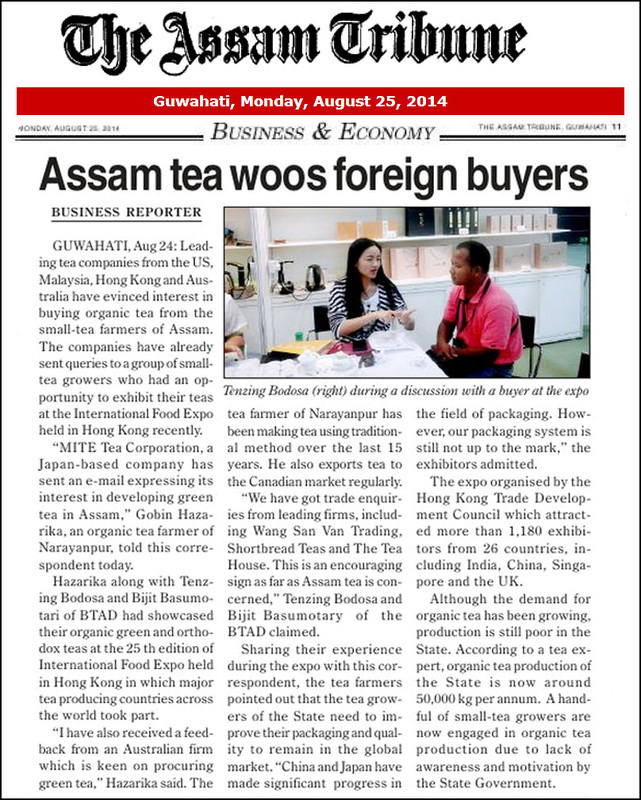 or to inquire about visits to tea gardens in Assam, contact us! 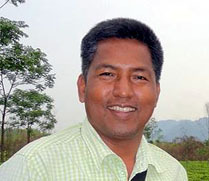 You can save this update on your computer or print a copy by clicking this link. of this video available to us! Presentation dates will be posted soon!